A lot of you are new to Margaret's Morsels. To help introduce you to the site, I thought I'd compile a list of summertime recipes from previous blogs. The list isn't all inclusive, but includes some of my favorites from five different categories. To make it manageable, I'm making this a three part series. Today's recipes are foods that are cool and creamy. Click the words in bold to go to the page with the recipe. Easy Peanut Butter Chip Pie: This is the recipe that launched Margaret's Morsels. The pie gets its wonderful flavor from peanut butter chips. My son came up with the idea of adding Magic Shell topping for a delicious chocolate/peanut butter combination. No matter how you top it, it's a cool and refreshing dessert on a hot summer day. Peanut Butter Fudge: Here's another recipe that uses peanut butter chips, but it also uses peanut butter. This fudge doesn't require any cooking, unless you count melting ingredients in the microwave as cooking! Since the fudge is stored in the refrigerator, it makes a cool summertime treat. Quick and Easy Lemon Bars: This recipe has been in Margaret's Morsels top 10 since it was first posted in 2011. These are the only lemon bars I've ever made that turn out perfect each and every time. Storing them in the refrigerator not only keeps them cold, but enhances the flavor. 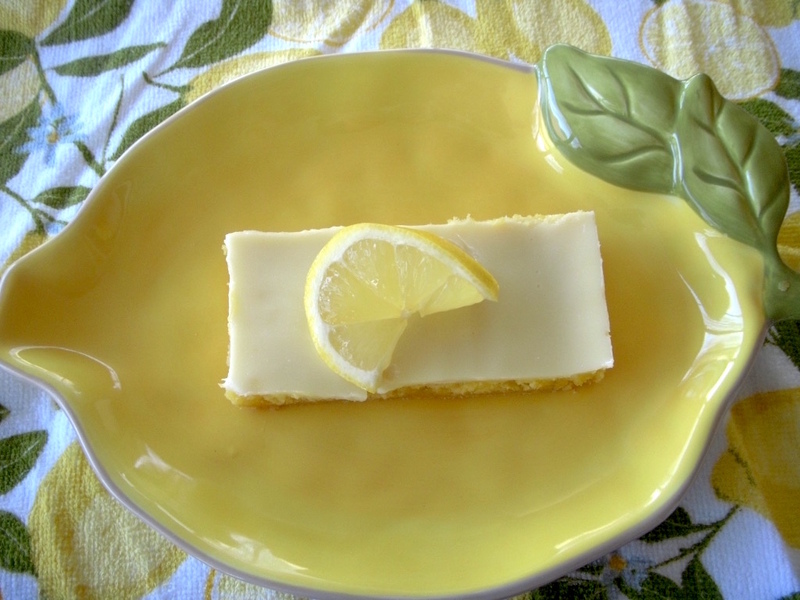 Lemonade Pie: This is another lemon recipe posted in 2011 that currently ranks as the sixth most popular recipe on Margaret's Morsels. The only appliance you need to make this pie is a hand mixer! Chocolate Dream Pie: This is a chocolate lover's dream recipe. The pie only uses four ingredients and half of them are chocolate! Just like the lemonade pie, the only appliance you need is a hand mixer. 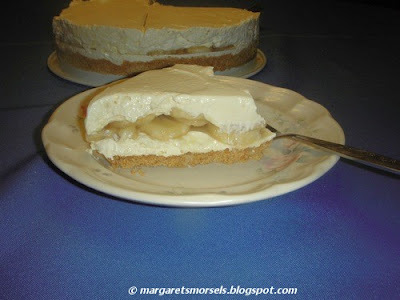 Banana Cream Supreme: This isn't a pudding and not quite a pie; it's the best of both! This no bake dessert is assembled in a spring-form pan with a layer of bananas between the filling. Although it's delicious in the summer, my teenage son thinks it's also good in the fall, winter and spring! Cherry Pie Filling Salad: This first time I ever saw this recipe, I thought it wouldn't be any good. Boy, was I wrong! Not only is it delicious, it's versatile and can be served from the refrigerator or freezer as either a side or dessert. Vanilla Ice Cream: This is the recipe my mom used to make. To this day, I think it's the best vanilla ice cream ever! The only change I've made to the recipe is to replace the raw eggs with egg substitute. Peach Ice Cream: This peach ice cream isn't vanilla ice cream with chopped up peaches. It uses fresh peaches and canned peach nectar. Peaches peak in July and August so this is a great time to make this ice cream. Orange Peach Soup: Here's another recipe that uses fresh peaches. This chilled peach soup can be served for brunch, lunch or even supper. It makes a great first course, especially when the meal that follows is light. Lime Jello Salad: This has been a family favorite since a friend gave me the recipe over 20 years ago. If you don't like lime, you can substitute other flavors of jello and fruit. Fruity Orange Gelatin: If you prefer jello that jiggles, give this salad a try. Unlike congealed salads made with red jello, there's no mistaking the flavor of this salad. It only uses five ingredients and three of them are orange! Cherry Gelatin Fruit Salad: Here's another jello recipe that jiggles. 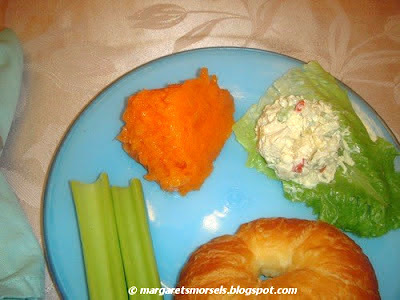 This is my most requested congealed salad recipe. No one will ever guess it only uses four ingredients and all of them are sugar-free! 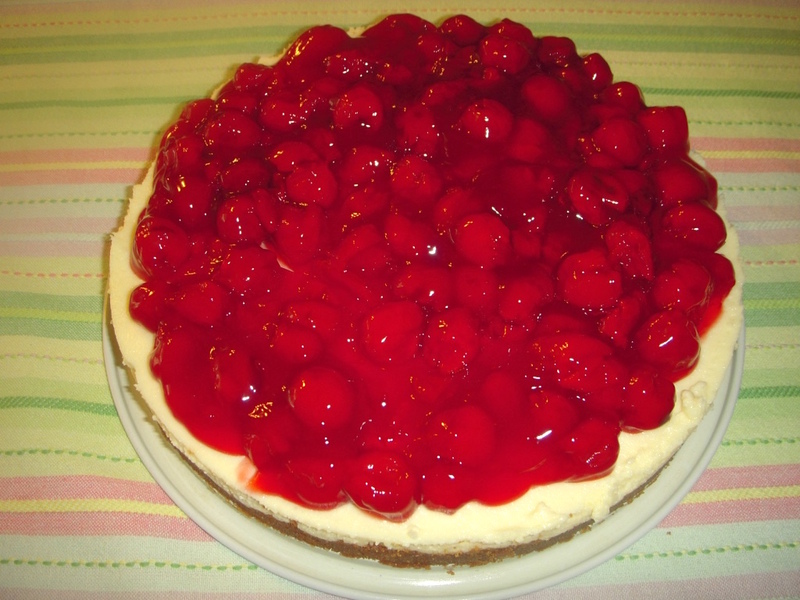 Sour Cream Cherry Cheesecake: The kitchen won't get hot when you make this cheesecake. The crust is the only thing that needs to be baked and that only takes 10 minutes! The rest of the cheesecake is made by doctoring up a package of cheesecake mix. I use cherry pie filling on top, but you can use your favorite flavor. Check back next week for part two of the series.